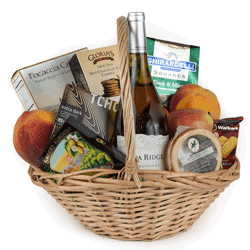 Whatever the occasion, make it memorable by sending a gift basket. 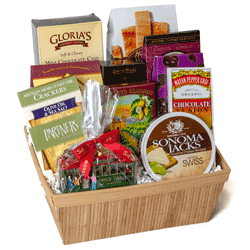 At SF Gift Baskets we strive to commemorate your events by delivering a personal gift made to your specifications. 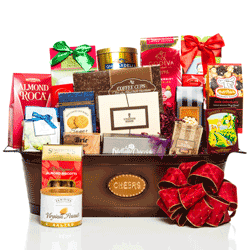 Whether you are wishing Happy Birthday, giving Congratulations on a new job, or Celebrating a new baby, a gift basket makes every day more special. With over 1,000 different baskets to choose from and the ability to custom create your own basket, you are sure to find the perfect fit. 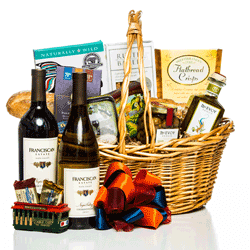 At SF Gift Baskets we stand behind our work. We pride ourselves in using the freshest, top of the line ingredients and we try to use local products whenever possible. We are able to provide same day delivery in San Francisco and surrounding cities. All other baskets can be shipped overnight.